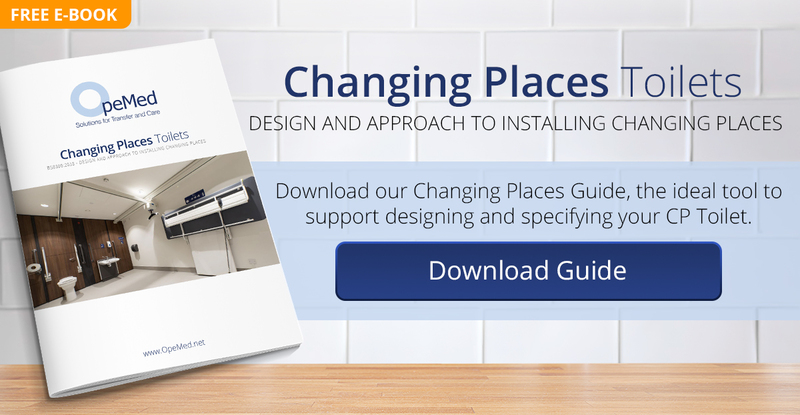 What are Modular Changing Places? Many organisations limit their Changing Places options by solely focussing on an internal adaptation. Our quick-build Modular Changing Places create space, rather than taking it — ensuring the optimal internal layout. 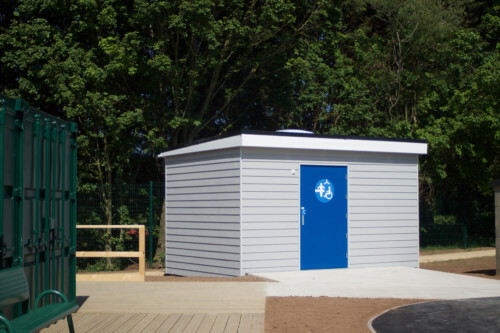 Our pre-fabricated Changing Places are delivered and lifted into position on-site as a complete unit. This minimises disruption to any existing buildings, whilst accelerating build times and improving quality control. Each unit provides 12sqm of internal floor space, a minimum internal ceiling height of 2.4m and premium equipment throughout. Additional features, such as roof lanterns and internal feature walls, are used to further enhance user experience. Aesthetics can be tailored both inside and out. 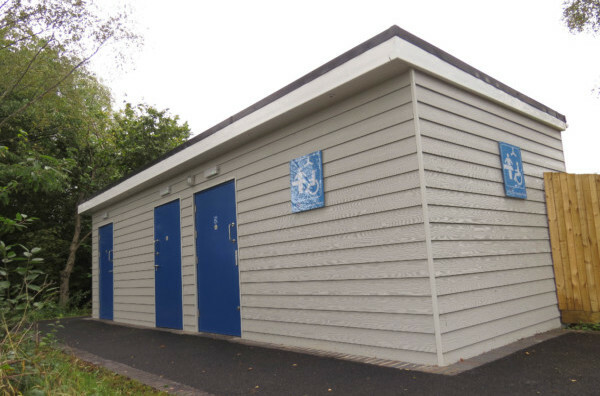 The external shell can be clad in materials to compliment your existing buildings or environment, plus we provide a wide range of internal colours and finishes. 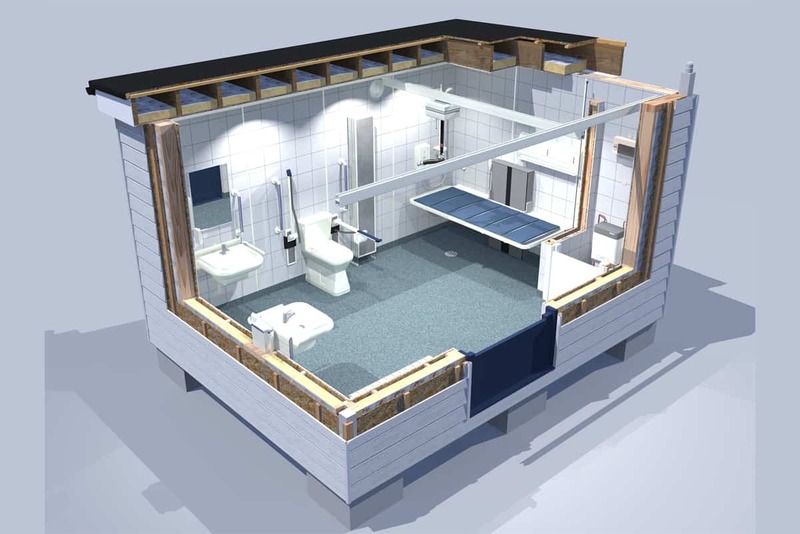 How can Modular Changing Places help my business? 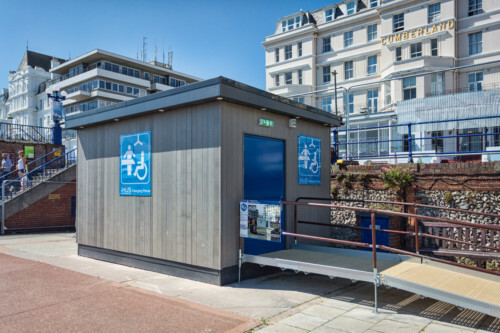 Future-proof: If you ever need to relocate your business, your modular Changing Places facility can travel with you. The modular units are simply craned on to the back of a lorry and placed pre-fabricated in your position of choice. High usage: In contrast to many internal adaptations, our standalone facilities are highly visible. As a result, they get used more and help to attract new customers. 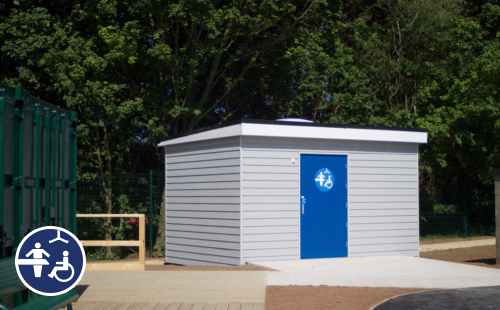 Minimal Disruption: Our pre-fabricated Changing Places are delivered and lifted into position on-site as a complete unit. This minimises disruption to any existing buildings, whilst accelerating build times and improving quality control. Premium Equipment: Each Modular unit promises the OpeMed equipment guarantee with product choices from our range of Changing Places certified equipment. The Core provides over 12sqm of internal ﬂoorspace, a minimum internal ceiling height of 2.4m and premium equipment throughout. This safe, hygienic environment exceeds BS 8300 compliance and includes unique extras such as a bespoke feature wall. Aesthetics can be tailored both inside and out. The Eastbourne provides over 12sqm of internal ﬂoorspace, a minimum internal ceiling height of 2.4m and premium equipment throughout. The safe, hygienic environment exceeds BS 8300 compliance and includes unique extras such as a bespoke feature wall. Aesthetics can be tailored both inside and out. The Kingsbury provides over 31sqm of internal floor space, with a minimum internal ceiling height of 2.4m and premium equipment throughout. This multifunctional, hygienic environment incorporates a BS 8300 compliant Changing Place, male and female w/c and a functional plant room. Aesthetics can be tailored both inside and out. 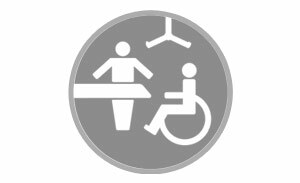 All our Modular Changing Places options are delivered and lifted into position on-site as a complete unit. This minimises disruption to any existing buildings, whilst accelerating build times and improving quality control. Bristol Cycling Centre and Colchester Zoo transform facilities into accessible havens and future-proof their businesses; allowing them to unlock the purple pound and support communities.